If you want just to get started with cocktails, or see if you like cocktails before buying a kit, you can! You can make cocktails at home tonight with what you have laying around the house. First, there are many cocktails that are built in the glass meaning they’re not shaken or stirred and, most of the time, if the drink is traditionally shaken or stirred and it can be altered to be built in the glass. If you are set on shaking or stirring a cocktail then here are a couple things laying around your kitchen you can use to replace traditional cocktail kit tools. 1. Shaker Tins: for a shaker alternative, you can simply use a large mason jar. 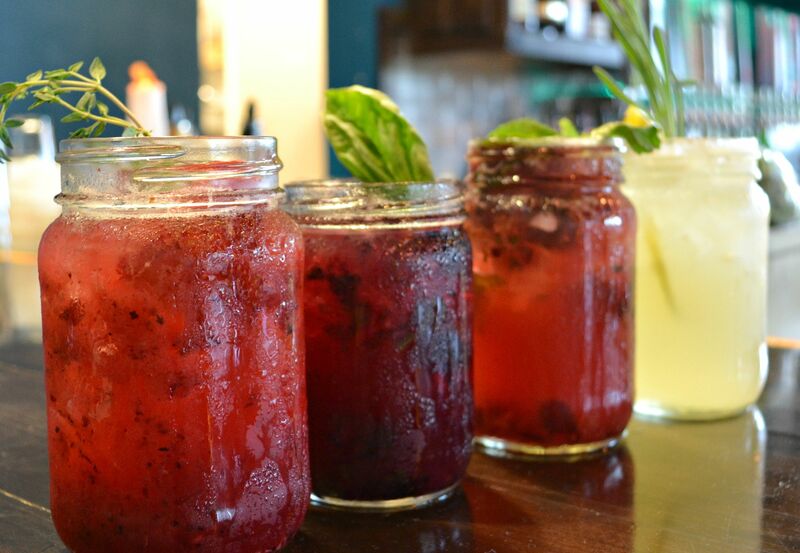 many craft cocktail bars nowadays are using mason jars instead of cocktail shakers because of this new obsession with mason jars. Simply put all the ingredients in, add your ice, screw on the lid and shake the cocktail it can be a little slower of a process, but is just as effective. 3. Bar spoon: this is probably the easiest tool to replicate from kitchen supplies. This can simply be a butter knife or any other sort of utensil that is long enough to reach the bottom of the stirring container and is either flat or has a shallow “bowl”. Potentially you already have a long handled spoon in the kitchen somewhere. 4. Muddler: alternatives to a muddler include anything that will fit into your mixing class or the cup your building the drink and has a hard, flat surface. All the muddler needs to do is press the herbs or fruit to extract the juices and oils. For example, if you have a thin rolling pin or dowel rod this can be used to replace the muddler.